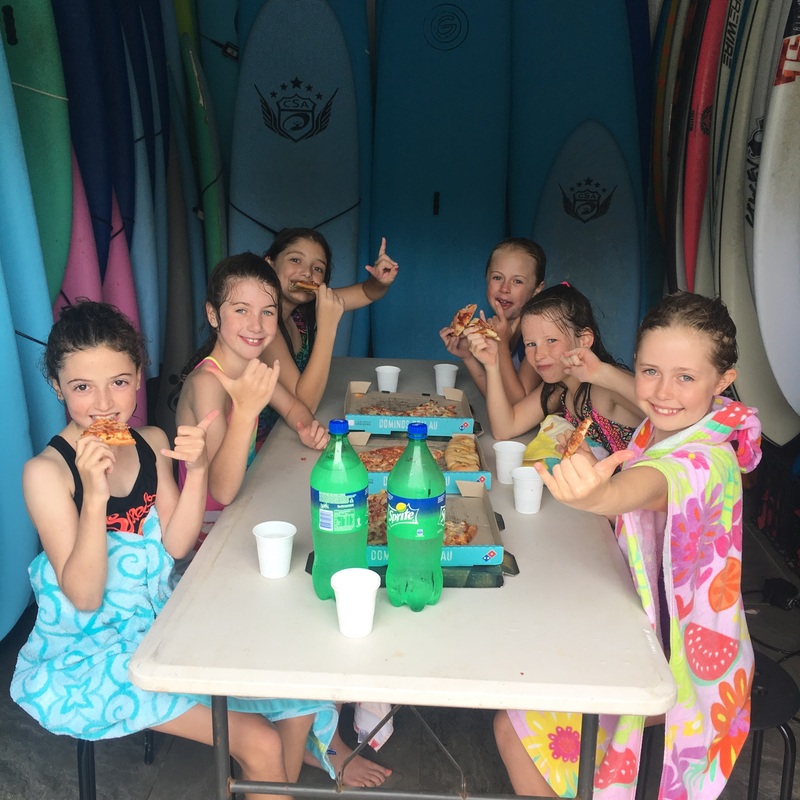 Learn to Surf parties are an awesome way for kids of all ages to celebrate birthday’s and special occasions. Our lessons are catered to all abilities. 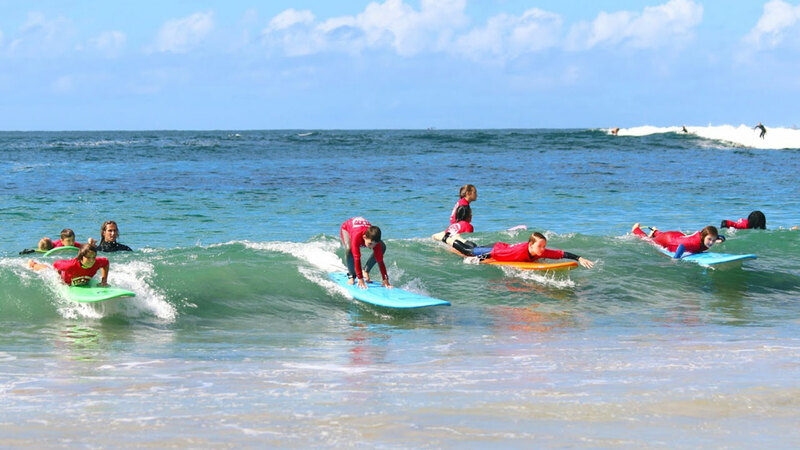 Our team of experienced, fully qualified instructors love the water and will ensure each child has a great experience learning how to surf. Lesson programs include water safety, ocean awareness, beach activities and learn to surf technique. CSA tailor the party to suit your needs and budgets. Option 1 / $45 per person. Includes board, wetsuits and rash shirts for all. Option 2 / $55 per person. 2.5 hour lesson and pizza party. Party table, hot pizza, garlic bread, cold drinks and gift for the birthday person. Any dietary requests should be sent through at least 1 week prior. CSA can assist with a party invitation that can be printed as a photo and sent out to guests. We can also arrange a photographer to capture the day and supply all images in high res for you to print or email. Minimum group size for a kids party is 4. Prices are subject to final numbers and catering requirements.